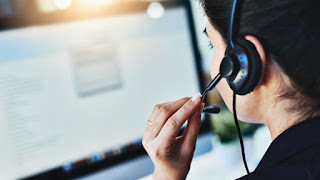 Businesses which call customers without their consent face fines of up to half a million pounds by the Information Commissioner's Office (ICO). Previously, people had to opt-out by registering with the free Telephone Preference Service or withdraw their consent while on the call. The UK-wide measures force the caller to make sure they have the recipient's consent before calling. Britons have been bombarded with 2.7 billion unsolicited calls, texts and emails over the past 12 months - equating to around 50 calls, texts or emails being made to every UK adult. The volume of unsolicited calls has caused "real distress" to some elderly and vulnerable people, according to the ICO. Minister for digital Margot James said: "Today we are one step closer to ending the menace of nuisance calls. "Our new laws mean people will now have to give consent to receive calls and have the power to choose where they seek compensation for personal injury claims or mis-sold payment protection insurance. "This is a big boost for the Information Commissioner's Office and will help them crack down on the cold call sharks."